Guy Kawasaki is the chief evangelist of Canva (an online design service) and an executive fellow of the Haas School of Business at U.C. Berkeley. Previously, he was the chief evangelist of Apple and special advisor to the CEO of the Motorola business unit of Google. His many acclaimed books include The Art of Social Media and Enchantment. He lives in Silicon Valley with his family and on social media where he has ten million followers..
"A successful entrepreneur requires three things: a garage, an idea, and this book – Guy's irrepressible guide to the raw essentials of life in a young company." "This is a delightful, complete, and consummately practical entrepreneur's handbook. Every person who wants to start a business should read it." 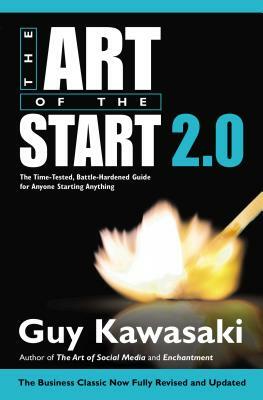 "Anyone trying to change the world should read The Art of the Start."